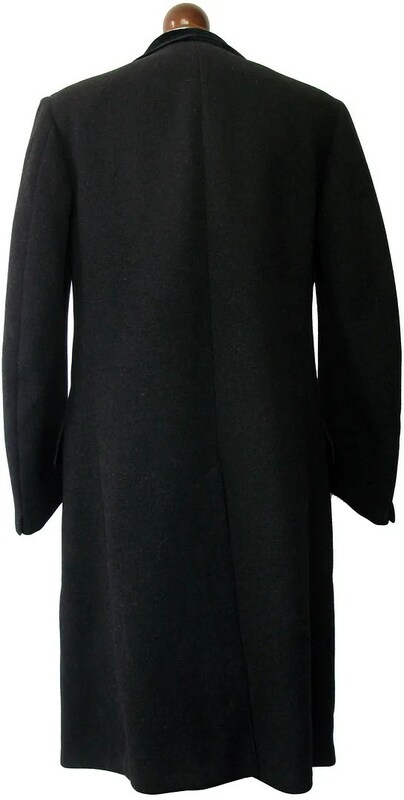 This vintage overcoat was made in the 1930s by high-end clothier Rogers Peet. The coat was purchased at their Boston location, 104 Tremont Street, by an A. Leighton of 10 Chauncy Street, Cambridge, Massachusetts. 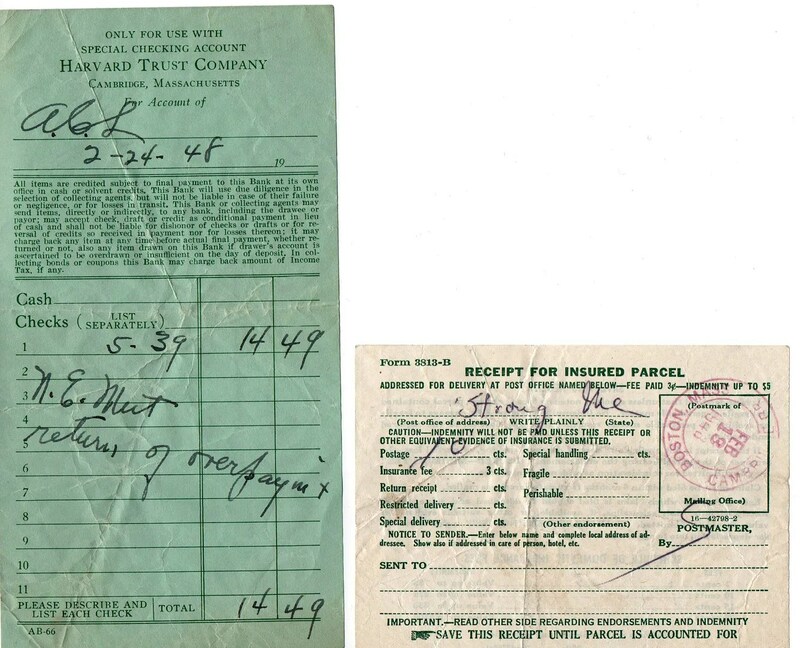 He wore the coat until 1948, evidenced by a postal insurance form dated February 18th, 1948 and a checking deposit slip dated February 24, 1948, both found in the breast pocket and included with the coat. The coat is about as classic as they come. It is a chesterfield, with a three button fly front (rolled to the second button) and a velvet collar. It is made of some of the finest, densest wool I have felt. Absolutely the quality you would expect from Rogers Peet. 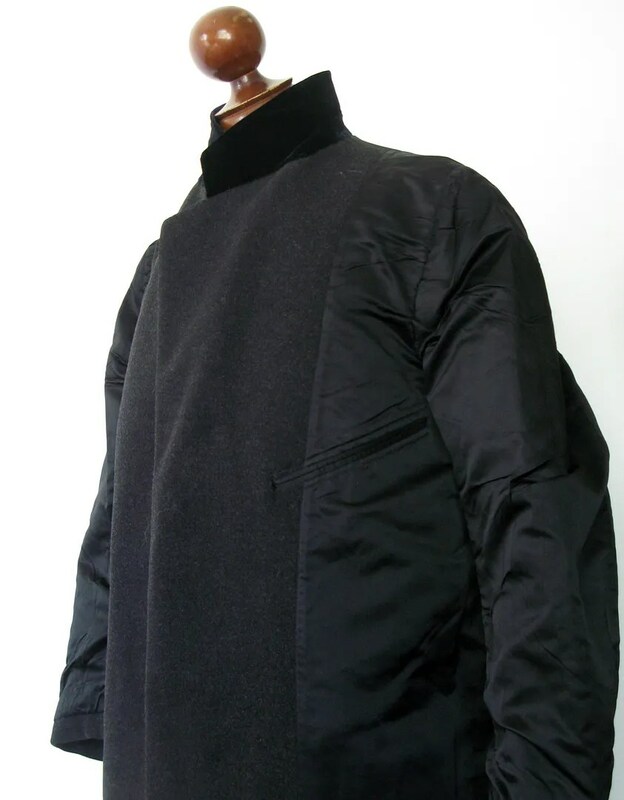 It has flapped pockets and a vented back with two buttons to close the vent. 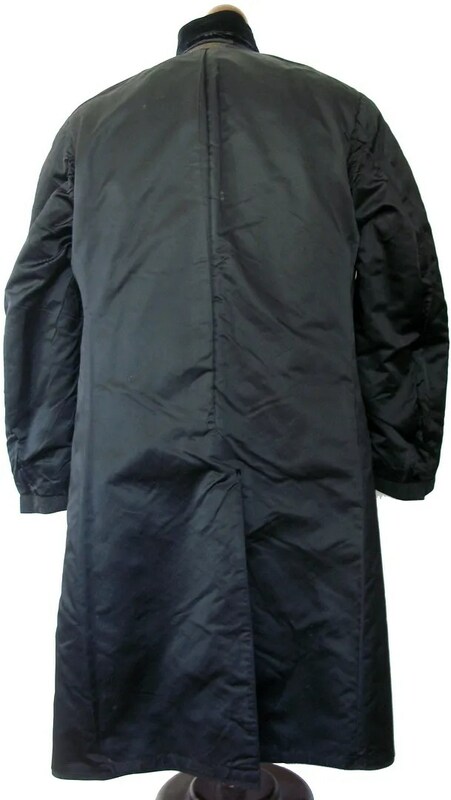 The coat is luxuriantly fully lined.. 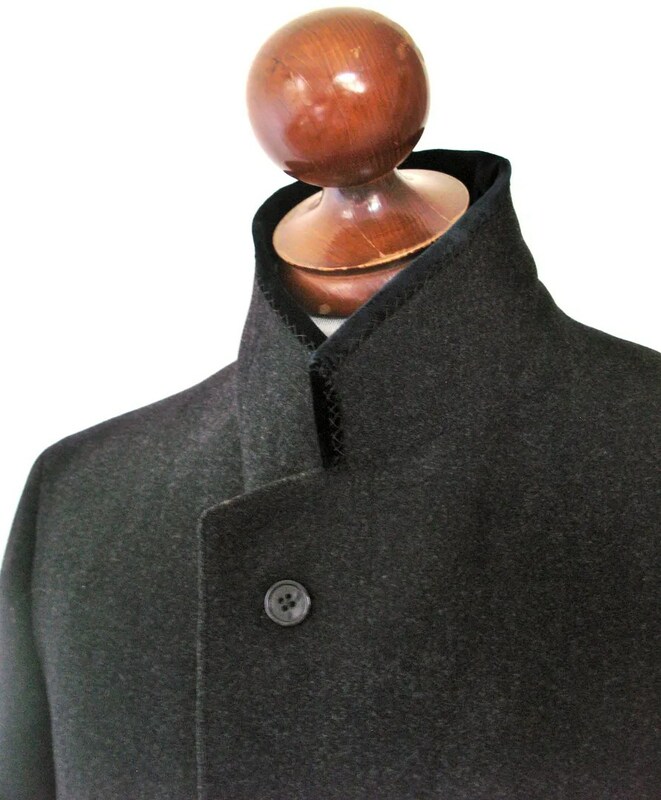 There is a small button which allows the lapels to be buttoned up against the Boston winters. 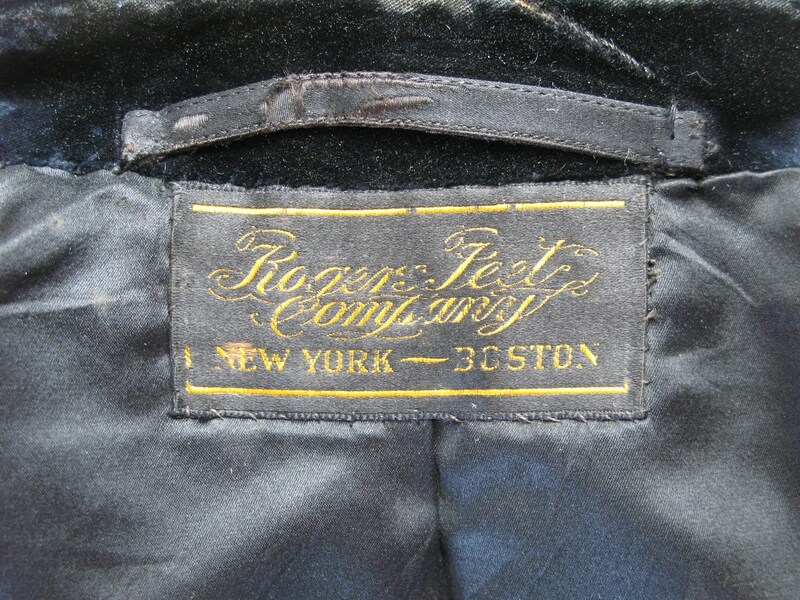 This entry was posted in Coats and tagged 1930s, boston, Brooks Brothers, chesterfield, clothing, coat, fashion, mens, overcoat, rogers peet, style, velvet collar, vintage by Spencer Stewart. Bookmark the permalink. 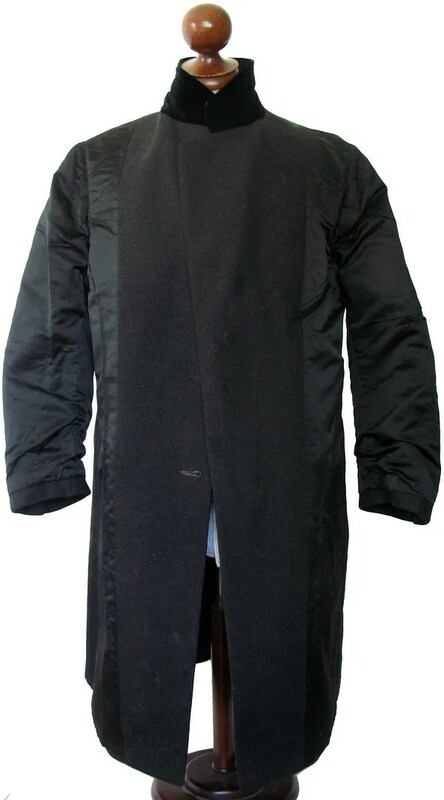 What is the price of this coat? It is an auction, the link can be found at the top of the page.